Substantial document structured under a range of impact headings: Arts and Culture; Place Making; Economy; Society & Wellbeing; Partnerships & Development; and concluding with Reflections & Recommendations. Costing £32.8m the programme of projects, events, and participation is seen as a huge success on all criteria; including that of attracting further capital funding into the city far exceeding the overall cost of the project. Top level data is presented in easy to read infographics; amongst the findings, Hull experienced 5.3m audience visits, 100 schools participated engaging 56,000 children and young people, and 3 in 4 residents liked or loved the programme and report an increase in civic pride. 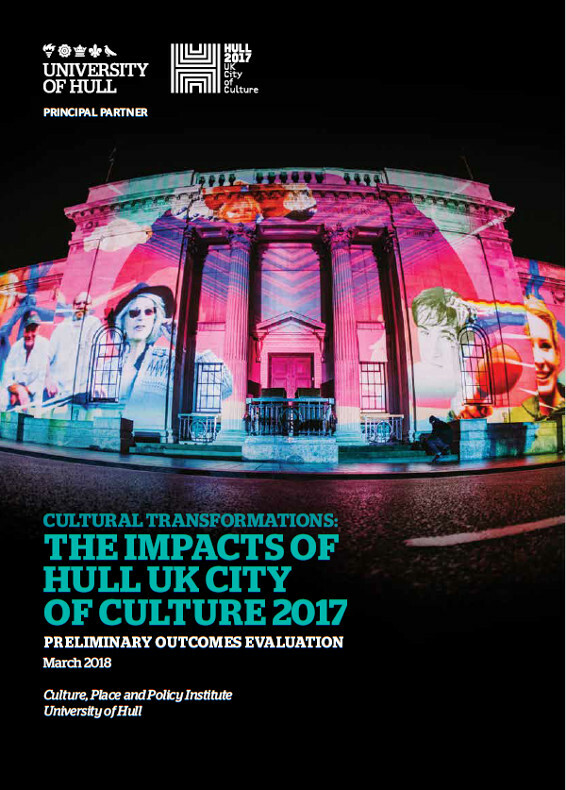 Concludes that the main challenge now lies in Hull’s ability to “retain the ecosystem of partnerships, financial investment, and artistic ambition built in 2017”.An excellent, thoughtful, readable document.